Our client is a key player in the agricultural and nutritional sector. With approximately over 5’000 employees and a total turnover in excess of €2 billion it produces and markets high-quality poultry specialities. Combined with the other business sectors it operates in the group consists of a significant number of independent firms. Due to the size and needs of the client it had become extremely difficult and costly to find partners in the primary insurance market. The existing fronting insurer had increased its fronting fee substantially from the previous year and the client was looking for cost savings. 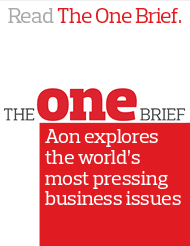 White Rock, working closely with Aon Benfield, was able to demonstrate a fronting solution that allowed them to insure the risk previously placed and moreover gain access to the reinsurance at a much lower overall cost. The combined strength and collaboration of Aon and White Rock enabled the client to set up a cell within White Rock to front its property and business interruption risk, whilst gain access to the reinsurance at a much lower overall cost.